Nine new Recofloor distributors joining the UK’s vinyl flooring take-back scheme have added extra strategically-located drop-off sites to the national network, making a total of 74 drop-off sites across the country. The newest recruits, all part of the Mercado Headlam Group, are Richards, Bristol; Richards, Southampton; Anderson Grant, Chelmsford; Alvin Morris, Liverpool; Mercado, Leeds and LGS, Gateshead. Other recent members include MCD Scotland, Uddingston, plus Christal Flooring Supplies, and Bailey Carpets, Plymouth who both signed up following a recent promotional bus tour organised by Altro in the South West. These awareness-raising visits included technical demonstrations and explanations of how the scheme works. Recofloor, founded by flooring manufacturers Altro and Polyflor, diverts waste vinyl flooring from landfill by recycling smooth offcuts, smooth uplifted vinyl and safety offcuts back into products, such as new flooring. Jane Gardner, Recofloor’s Project Manager, described the increase in distributors as ‘a great breakthrough for the scheme’, saying: “This is an exciting development, because it demonstrates the fact that the supply chain is working together to divert vinyl flooring from landfill. Keith Yates, Managing Director of Mercado Ltd, commented: “At Mercado we have been active members of both Carpet Recycling UK and The Flooring Sustainability Partnership for a number of years and consider the issues on recycling and diversion from landfill to be one of the most challenging issues facing our industry. 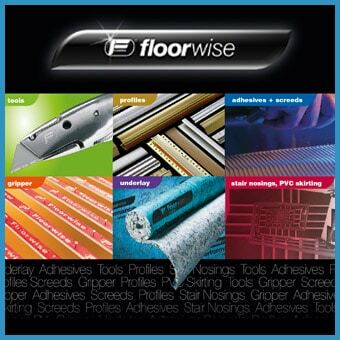 Latest Recofloor figures show distributors boosted their share of waste vinyl flooring collections by 11% in the first three months of 2013 compared to the same period last year. The 67 distributors at that time collected 42% – or 42.27 tonnes – of the first quarter’s 99.3 tonnes. This compares to 31% – or 30.5 tonnes – in January to March 2012. Welcoming the rise, Jane said it’s clear that distributors are leading the way by providing convenient facilities for contractors to drop off their vinyl flooring waste and shows Recofloor’s approach to bulking up small volumes of waste over larger geographical areas really works. Drop-off sites at flooring distributors allow local contractors to deposit waste vinyl and this practical and popular solution collects smaller volumes of flooring that might otherwise be disposed of to landfill, while also saving on transport costs. “Our aim is to increase collections from distributors by reaching and registering more contractors and retailers to use these drop-off sites. All Recofloor members receive a Certificate of Commitment and logo with which they can demonstrate their green credentials to customers,” added Jane. Flooring contractors are also being encouraged to use the Recofloor scheme, which helps firms comply with Site Waste Management plans. 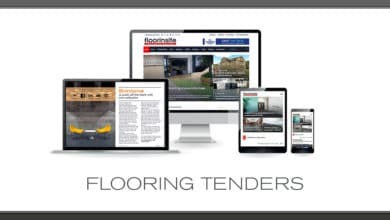 Membership is also helpful for gaining new business as Recofloor is often specified as an outlet for waste vinyl flooring in tenders and contractors can register to have collections from their sites.